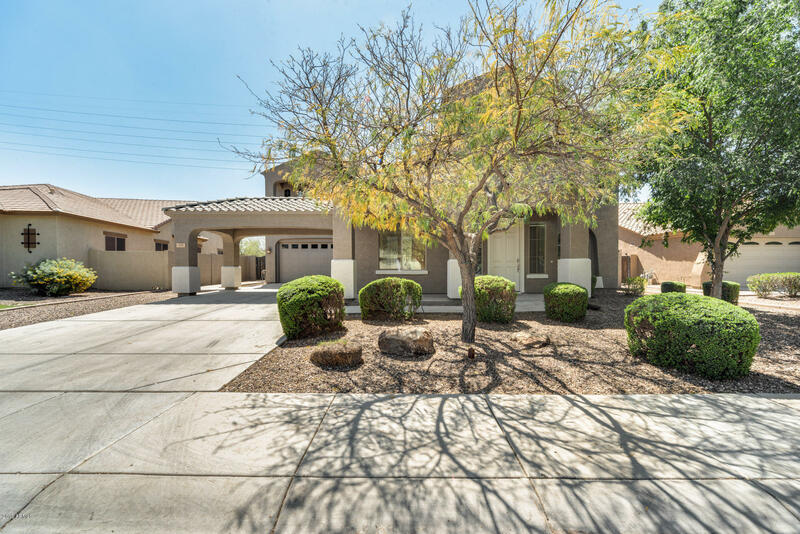 All VISTA DEL ORO NORTH AMD homes currently listed for sale in Gilbert as of 04/22/2019 are shown below. You can change the search criteria at any time by pressing the 'Change Search' button below. "Great 4 bedroom, den/office, and a loft. 2 1/2 bath. Spacious bedrooms and gourmet kitchen make this home a most have. The kitchen features stainless steel appliances, wall ovens and granite counter tops. The family room and den/office and patio are wired for sound. Beautiful wrought iron staircase. The loft and master are also wired for sound. Den/office has built in double desk and book case. Master bath has two sinks, soak tub, and snail shower. Two large walkin closets and instant heat wate"
"4 bed, 2.5 bath with beautiful features throughout! Downstairs, there are guest quarters with a private courtyard, a great place to relax and read a book. The floor plan boasts beautiful maple wood flooring that brightens up the living space! Step into your living room that opens to the kitchen; allowing you to entertain your guests comfortably. The master suite is fit for a king! 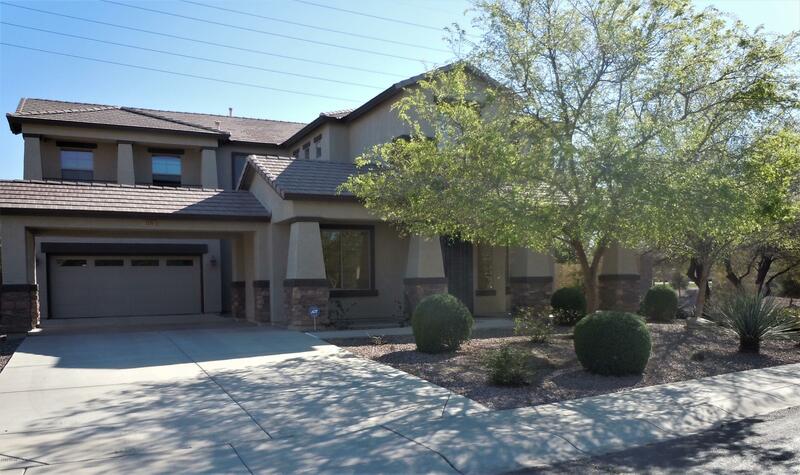 Spacious and features a private reading nook and a balcony to enjoy the Arizona weather. The master bath is the perf"
"Stunning remodel w/updates galore! 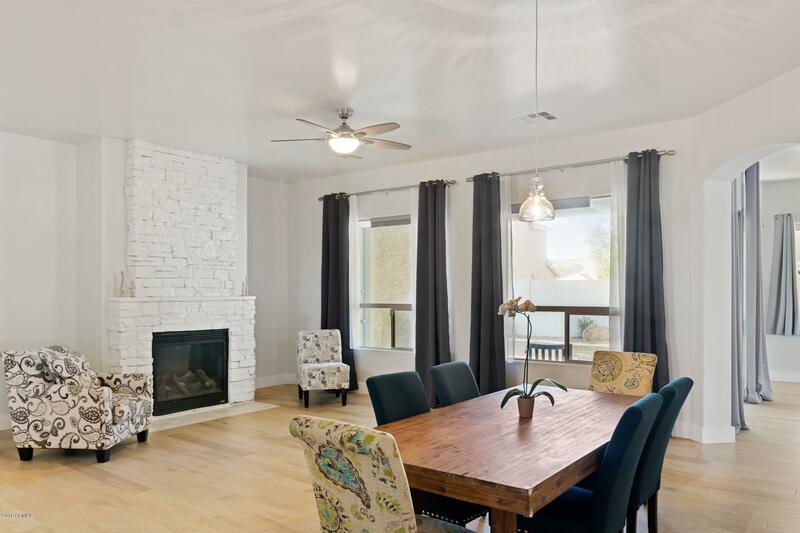 This home is unlike any w/light hardwood flooring, white cabinets, marble like quartz countertops, marble backsplash, 10' ceilings, 8' doors & fresh light interior paint makes for a bright spacious beach inspired home. Spa like MBA w/marble shower stand-alone tub & dbl sinks. Spacious gourmet kitchen w/42'' white shaker cabinets, S/S appl, dbl oven & 5 burner gas cooktop. Fresh exterior paint. Near shopping dining & freeway access." "Home has a huge backyard open to your own design for a pool or other outdoor activities. $20k+ upgrades for new engineered vinyl plank flooring thru out, granite kitchen countertop, backsplash & repainted interior. New AC unit installed in 2018. 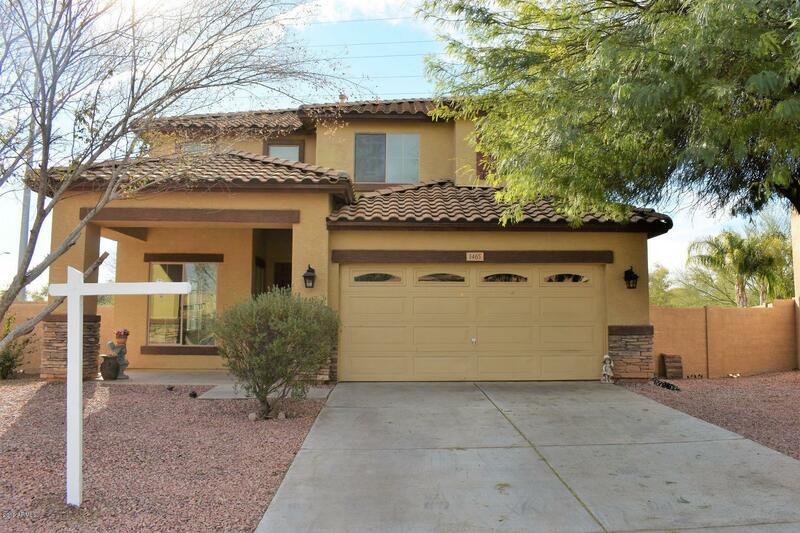 Formal living, dining, eat-in kitchen w bay window, 4 bedrooms upstairs w ceiling fans, 2.5 baths, cabinets in garage. Schools, hospital, 202 frwy nearby."